Los Angeles (AFP) – A collection of Marilyn Monroe film costumes valued in the millions of dollars goes under the hammer later this year, a California auction house announced on Thursday. The collection includes Monroe’s costumes, personal gowns and clothing and jewelry, and is valued at some $3 million. “Marilyn Monroe is one of the biggest and most endearing screen icons of our time,” said Darren Julien, the company’s founder and CEO. Highlights include the sheer beaded cocktail dress Monroe wore as she sung “I’m Through With Love” atop a grand piano in “Some Like it Hot,” expected to sell for up to $400,000. Released in 1959 and considered one of the greatest comedies ever, the film won Monroe a Golden Globe for her portrayal of Sugar Kane, one of her most famous roles. The collection also features the elaborate costume she wore as she sang “After You Get What You Want, You Don’t Want It” in the 1953 comedy “There’s No Business Like Show Business.” It is expected to sell for up to $200,000. Monroe, one of the world’s most bankable stars before her death aged just 36 in Los Angeles in 1962, remains at the top of the list for collectors of celebrity memorabilia. 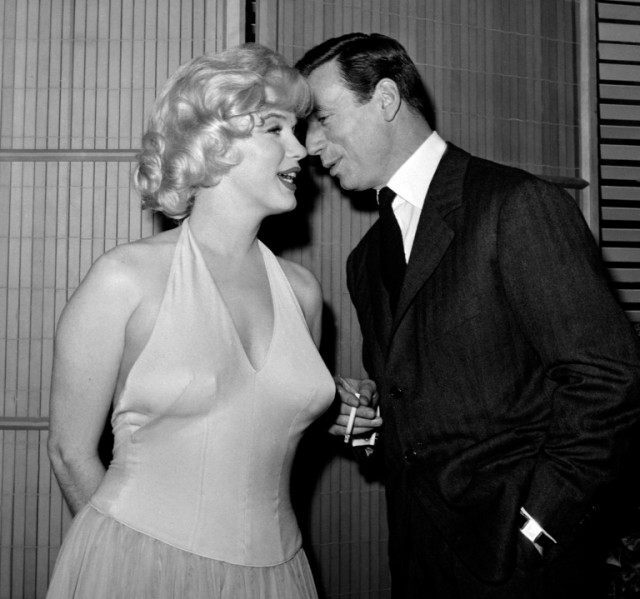 Five years ago, the billowing frock she wore on a subway grate in “The Seven Year Itch” that turned her into a screen icon sold for a record $5.5m. “More than half a century after her death, the world remains fascinated by Marilyn Monroe’s beauty and talent,” said Martin Nolan, executive director of Julien’s Auctions. Additional highlights include evening gloves, jewelry, shoes, household items, and Monroe’s Detroit Free Press “New Faces Award” from 1952. The collection will be exhibited on a worldwide tour prior to the November 19 auction in Los Angeles.